BROOKLYN NINE-NINE’s third season is shaking things up — Captain Holt is out (for now), and a new captain (played by Bill Hader) is in. 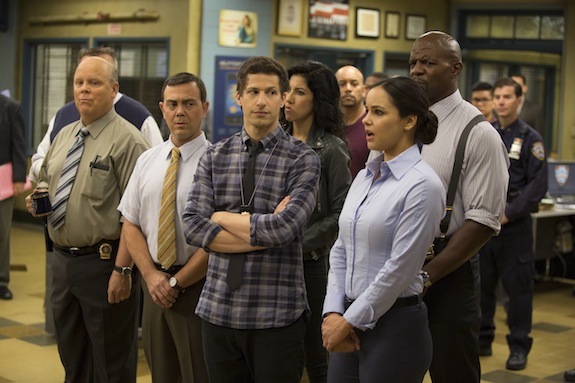 BROOKLYN NINE-NINE season 3 premieres Sunday, September 27th at 8:30 PM on Fox. Its wonderful as your other posts : D, thankyou for putting up. “Experience is that marvelous thing that enables you to recognize a mistake when you make it again.” by Franklin P. Jones.